The North Atlantic Treaty Organization (NATO) was formed 70 years ago on April 4, 1949 when 12 founding members signed the Washington Treaty in Washington D.C. with the intent to prevent another World War in Europe, a mutual combined protection of the territories of the signatories, and the defense of a western democratic way of life. NATO’s 70 years of paving peace in an historical hotbed for major conflicts has been challenged most and foremost by the former Soviet Union and Russia. Collectively through consensus leadership, NATO has overcome and paved through to keep the peace path wide, open, and well traversed. Today NATO finds its path of peace challenged yet again. 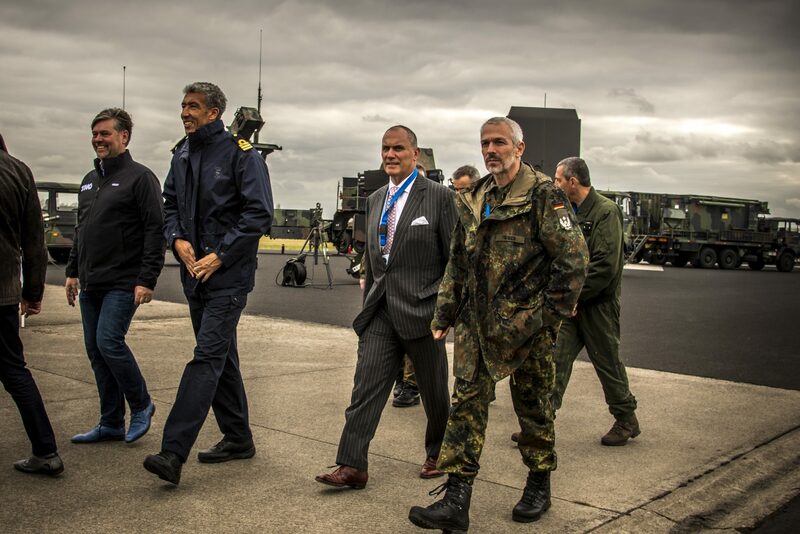 Those necessary steps by NATO require integrated and interoperable defenses coupled with collective resourcing shared by NATO members to negate those specific missile threats to Europe and preserve a credible and effective deterrence. First and foremost to collectively defend NATO Europe from new regional long-range stand-off Russian missiles, which include complex ballistic, maneuverable cruise missiles, and hypersonic glide vehicles, an overall NATO Command and Control, Battle Management (C2BM) has to be developed and deployed that isn’t in place today. This new C2BM would be driven from a new architecture that fuses all the layers of sensors in space, Unmanned Aircraft Systems (UAS) in high and low atmosphere, manned aircraft, and terrestrial based sensors to create firing solutions for all of the effectors deployed in Europe across all the domains. There is no longer the need for the existing separation of European regional ballistic missile defenses and European Integrated Air and Missile Defenses. There is no longer the need to have separate C2BM systems for land and air campaigns, it now has to shift to an all-inclusive cross-domain C2BM to include cyber, space, sea, air, and land all together. It too must bring together this collective data from each of the contributing NATO member nations, fuse all of this data, and then share this data in a speed of relevancy with artificial intelligence that enables effector solutions across the domains from the different NATO member nations. Concurrently new missile defense systems, both sensors and effectors, across the domains have to be seamlessly incorporated into the solutions. Last week in Vredepeel, Netherlands we were invited to the Joint Project Optic Windmill (JPOW), a cross-domain C2BM integrated air and missile defense exercise hosted by the Netherlands with NATO participation that included France, Spain, Germany, and other member countries. JPOW’s main objective was to work through the C2BM challenges of multiple nations collecting from multiple data sources and putting forward firing solutions. The JPOW exercise promotes interoperability among the participating NATO nations, learns from the strengths and inefficiencies that then force functions better solutions and better understanding of the complexity of C2BM for the overall defense of Europe. Distinguished Visitor Day at JPOW 19, March 26, 2019. These are the steps for NATO that need to be climbed together to provide credible and effective deterrence for NATO. 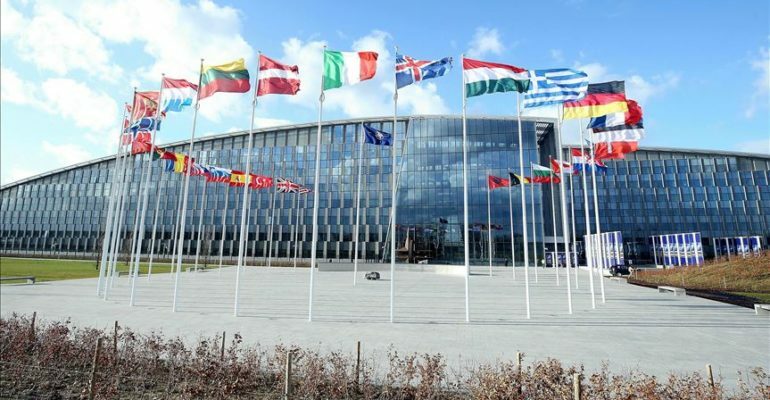 We had the honor of visiting NATO on these steps before its 70th Birthday in its new Headquarters in Brussels, Belgium last week. Let’s go for 70 more years of peace with NATO.